The biggest problem with surfing is the fact that it’s a lot of paddling, waiting and being in the right position, all to catch that one special wave. If you’re a beginner, you might not even get on the wave. That’s where Jetsurf comes in. It eliminates all of the painful parts of surfing and gets you right to where you want to be. With speeds of up to 57km/h, it’s easy to get to those waves. The Jetsurf is a custom designed carbon fibre hull equipped with a 17hp, 6kg two-stroke engine, and an exhaust system that works with backpressure of sound waves. This innovation makes the Jetsurf the greenest petrol driven personal watercraft in the world, producing only 210 grams of CO2/hour at full speed. The Jetsurf has been specially developed to minimize environmental impact. 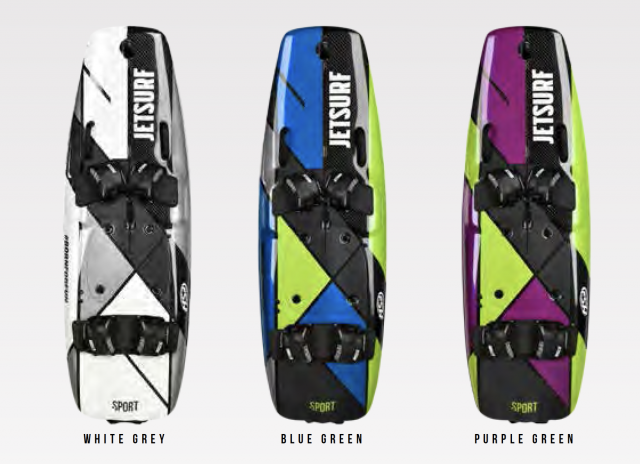 Using the most advanced technology, engineers have reduced the total weight of the Jetsurf to 15 kg (33lbs). Having passed homologation standards for noise emissions, the Jetsurf complies with the emission limits set for motor vessels. The complete drive unit is certified and approved by the European Commission and received the European Union label, CE. JETSURF SPORT is the board that everyone can enjoy. Its characteristics per-fectly suit families and rentals. The JETSURF SPORT is durable and reliable, but most of all, this model will be a great guide for your jetsurfing early stages. Whether you like to enjoy a funny afternoon at your favourite lake or sea bay, looking for a new toy to equip your yacht, the JETSURF SPORT will deliver abso-lutely everything you might need for free time surfing. Making a long distance JETSURF trip has never been easier. Make it a superb adventure with the JETSURF ADVENTURE DFI, which introduces a couple of brand new features. A higher level of independence will be secured by a spe-cially-designed rack in the front part of the board. Additional equipment to make your journey more enjoyable, can be carried in JETSURF ADVENTURE duffel, or just add specially designed fuel can and enjoy cruising time of up to 3 hours. The 2019 JETSURF ADVENTURE is equipped with DFI low emission impact engine. 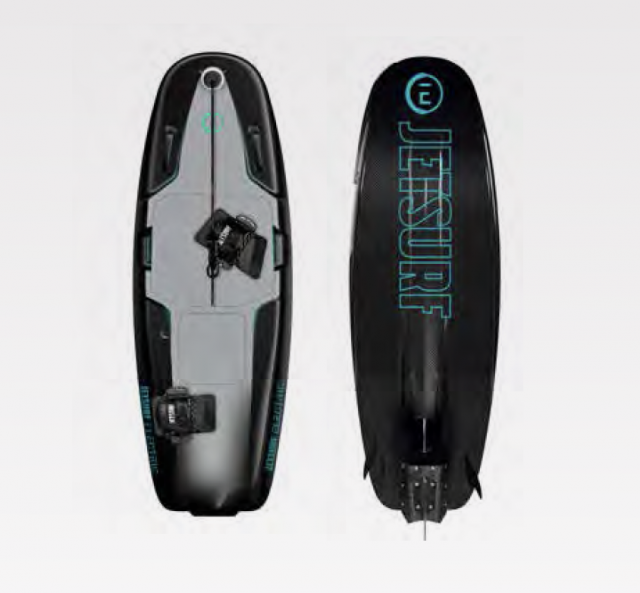 The full electric-powered JETSURF board will be offered with two different specifications. The basic JETSURF Electric stands alongside its upgraded brother, the JETSURF Electric S, which will be equipped with a Battery Management System cooling the batteries when charging and discharging. The board will allow its rider to switch between ECO mode for longer cruising or BOOSTER for higher performance and maximum speed. The JETSURF electric powered board weighs 29 kilograms and exchangeable batteries provide up to 35 minutes of riding time.